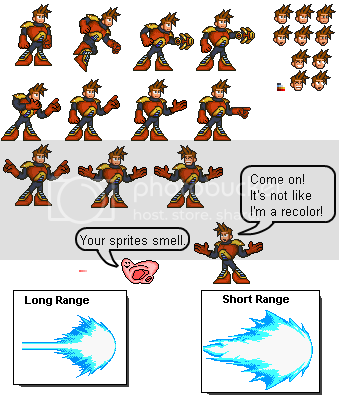 Sprites / Lets put some sprites in here. In short, it blows. I think only Wax knew about this on the original board. But, I was only 12 when I originally registered and started posting those horrendously bad megaman comics. I got one of those weird suspensions from posting for a few days because of just how awful my grammar was. Nessa and Goemar are probably the only ones who remember those sad, sad times. I like to think that I gradually got better and better at writing and spriting with time though. My grammar definitely improved significantly as a result of trying to find my way on here. But, ol' neo is rambling for the bajillionth time. The point of this is that I will be 20 in October. I know that's probably not old at all for some of you guys. But, it feels like it. 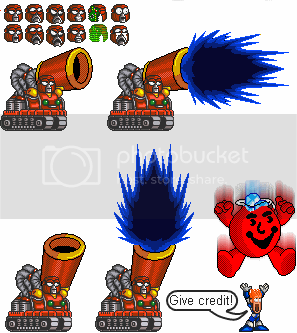 My world has been turned upside down at least a dozen times since the good ol' days when making a decent sprite comic was priority number one. Awe, Jesus! Those were some good times. I just hope I can find my place in the real world just as I did on here. I'm horrified to be honest. I don't know if I have it in me. What do you use for sprite editing these days, Sean? I use to be a big believer in the oldschool paint. You guys may or may not remember a fella by the name of neoshaolin. I also went by Mr. Sprinkler for a little while too.